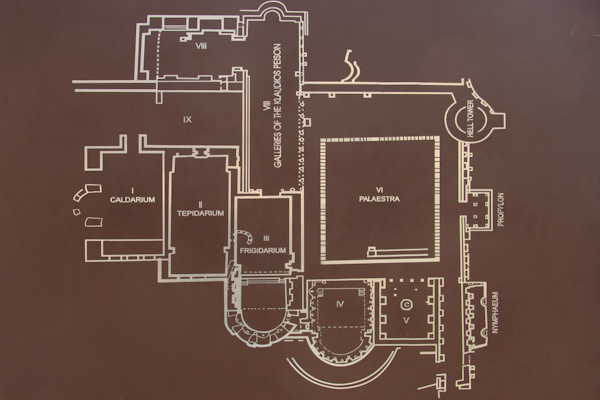 View looking southwest at the pool of the frigidarium (room III on the plan). Note all the niches for statues. The walls of this, and the other rooms, were covered with marble.